It took two days to get here last week, and replacing the cold weather close to freezing point at home in Norway with the pleasant +35 C or so in Adelaide was just great. Already by the rehearsals you could tell that the three and a half months break since the Roskilde Denmark show this summer did not make this band any rusty. In fact they sounded great from the start, and spending some time in Adelaide with the rehearsals days was the perfect way to adapt to the time zone change... and the band. 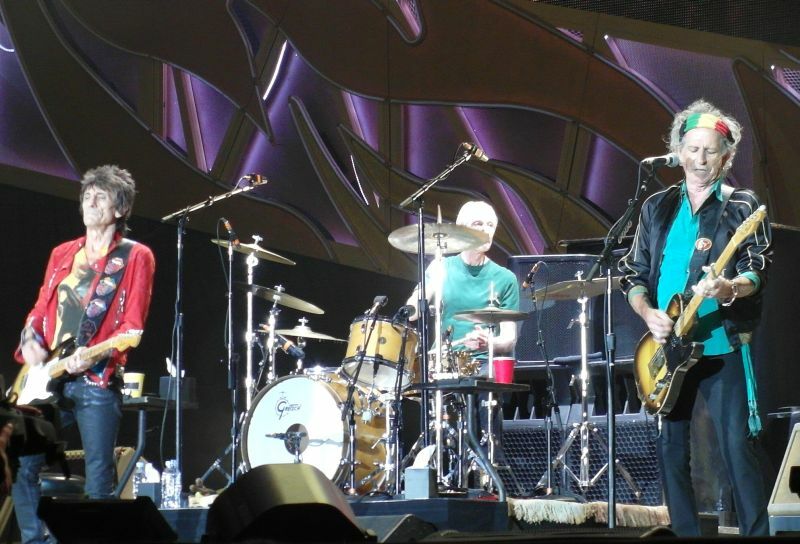 On Wednesday they did a soundcheck including "Wild Horses". You could hear it all across the river, it was so strong. I had high expectations for this venue, to be inside and listen to these great songs with this powerful sound. The fans were cool, everybody very relaxed, no stress. First I walked around like an impatient dog, then as the time got closer to the warmup act, I found my seat for a short while. Some more wait, everybody by their seats, isles free, relaxed still proper security. And then, by 8:35pm they are on. It is hard to make a list of highlights, because there were so many. 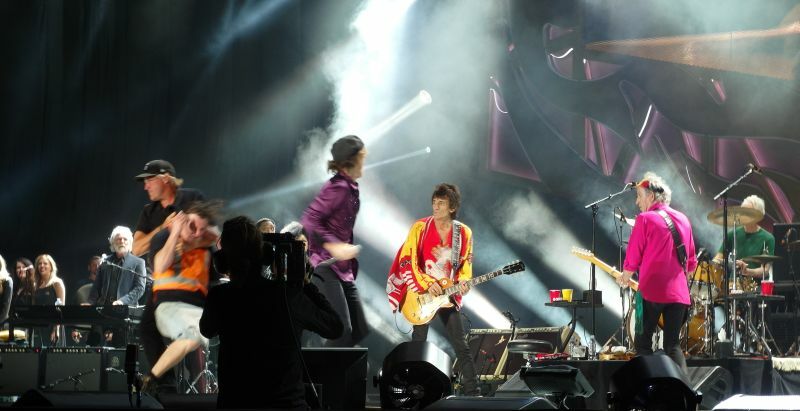 "Jumping Jack Flash" was strong. 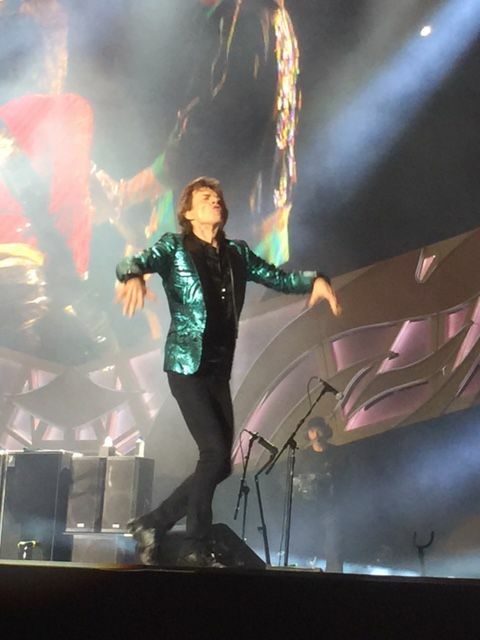 Mick was all over the stage from start to finish. The stage was low, unusual low for a stadium stage, max 1,80 meters or so i.e. 6 feet, they said 1,90 but it was in fact slightly lower. Which means we could see everything on stage even from up front seats. Perfect. "Wild Horses" was strong and good. "Doom And Gloom" is a monster, I just love those riffs, ever since they teased us with a couple of minutes dirty D&G riffs at the soundcheck today, I wanted to hear this great song once more. 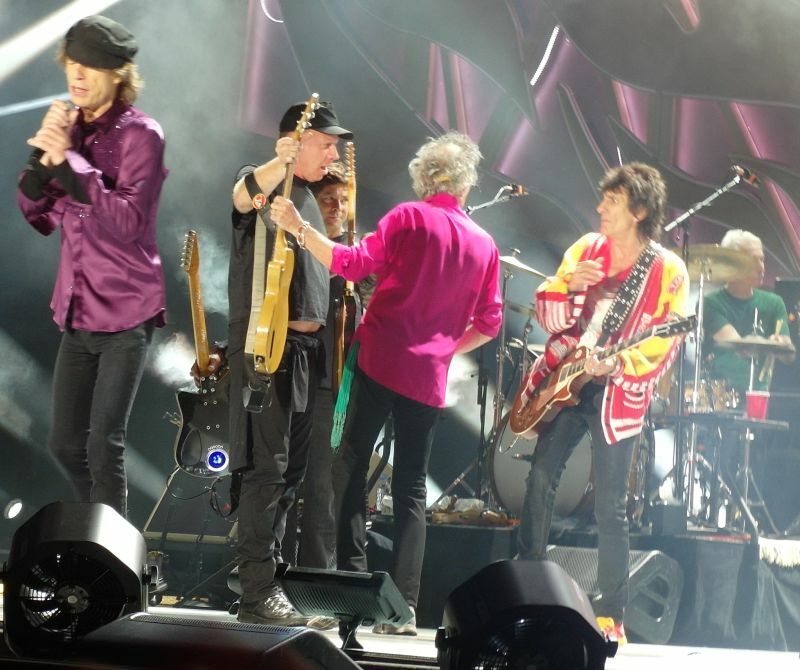 "Out Of Control" is back with the same power it had during it's first tour back in the Bridges To Babylon days 1997-1998, Keith & Mick up front together, as you can see from one of the pictures below. 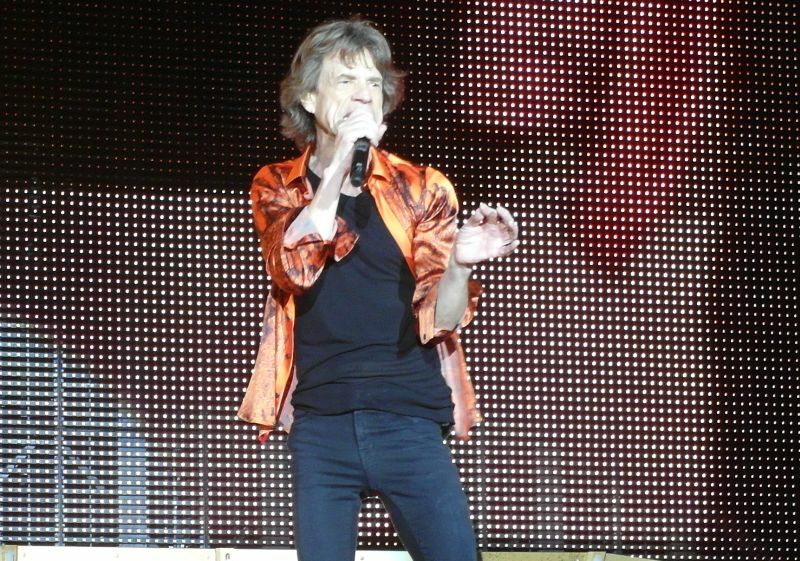 Mick on the harmonica. 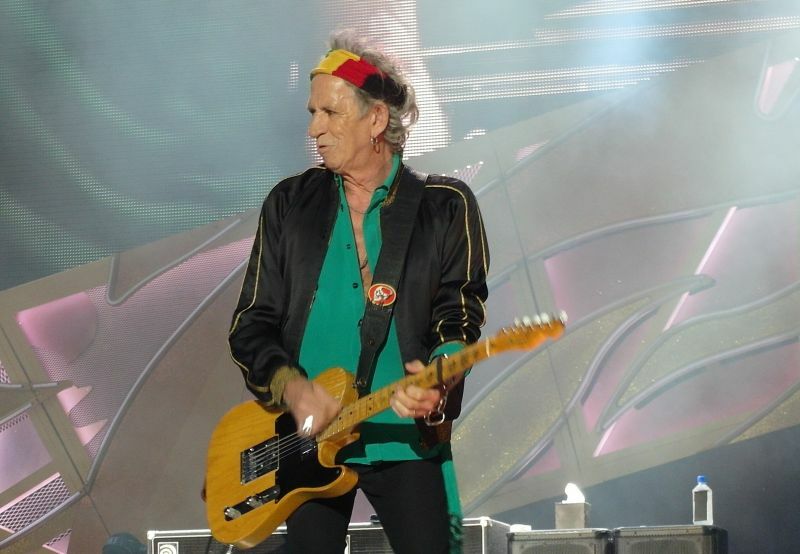 Keith playing back to Mick. They did it in Europe, and they do it now Down Under. 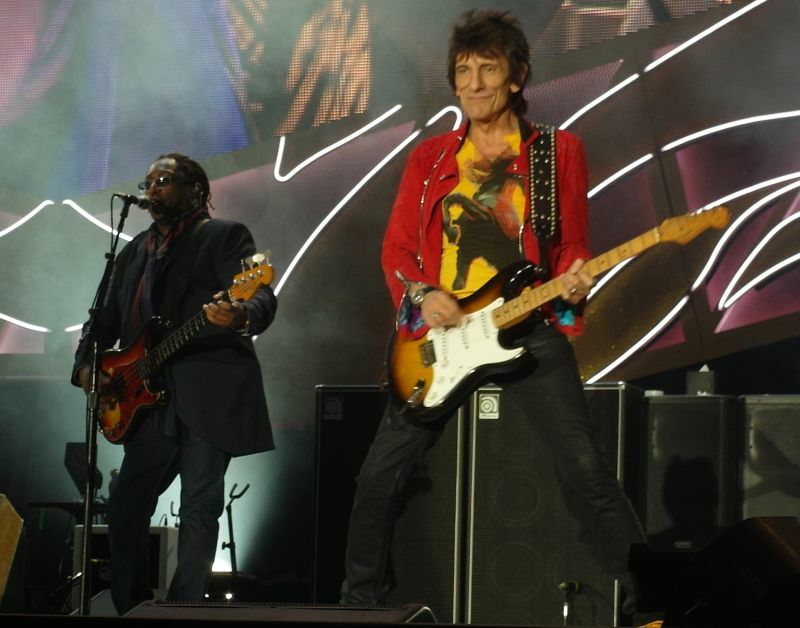 Keith and Ronnie spend most of the time playing not posing to the cameras like they have done some times in the past. That is good for the performance and the show. Darryl is spending more time in the center with Keith, Ronnie and Charlie, I like it, not like he is just out there alone on his own. 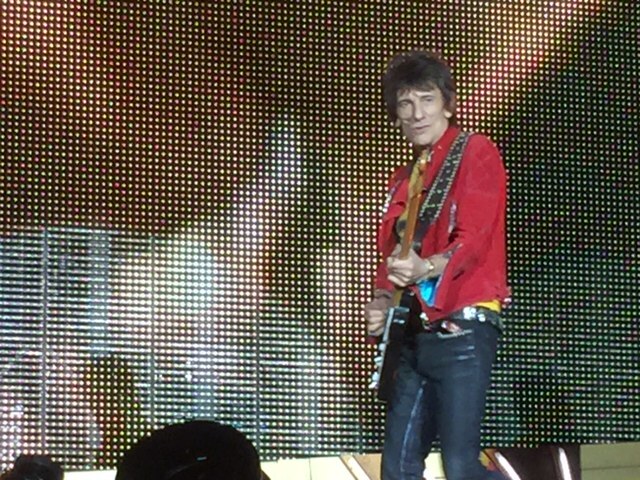 Mick Taylor the highligt on Rambler as usual. 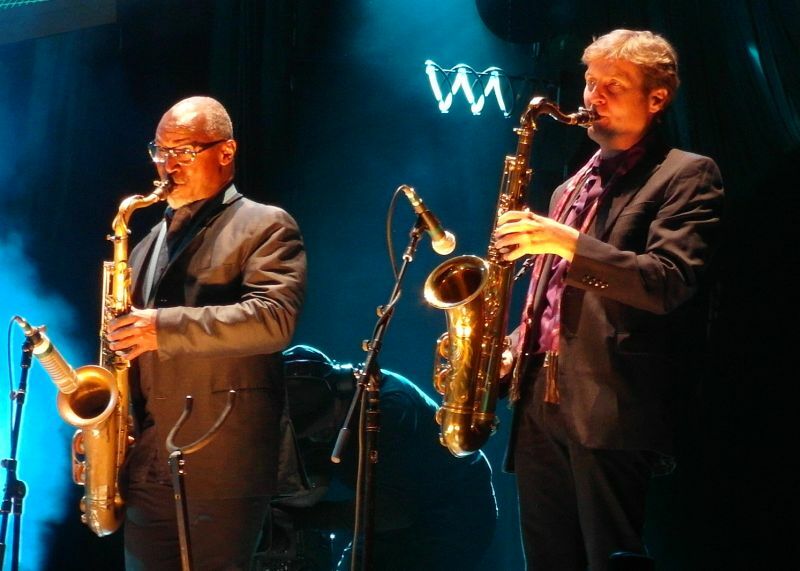 Karl Denson. I had been waiting for the "Brown Sugar" moment. The "new guy" made a solo faithful to the original yet with a personal touch. He did not overdo it. 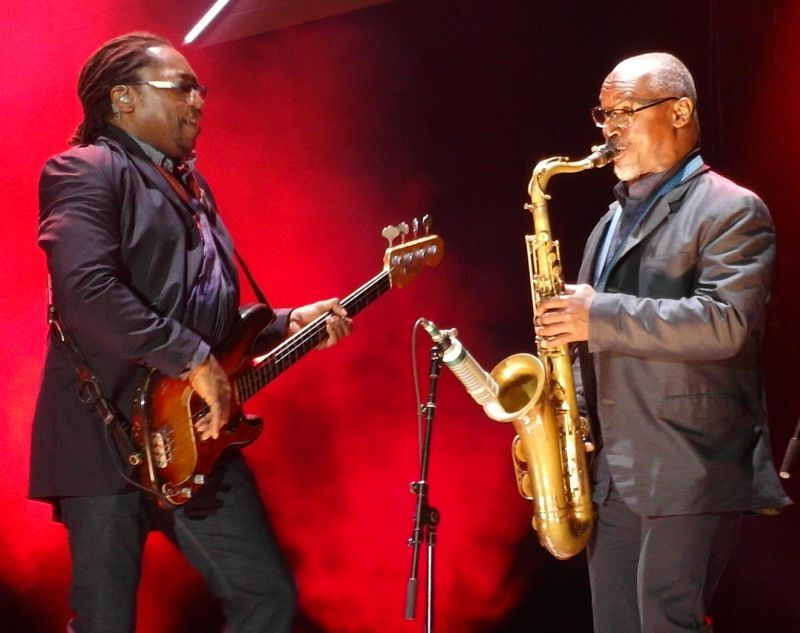 Like Karl Denson said in his statement on Oct 16, when he was announcing his touring with the Stones: "I've been studying his (Bobby Keys) playing since I was 19 or 20 years old. He is what I call the original "slow hand" saxophonist. Sometimes less IS more. Get well soon Bobby". 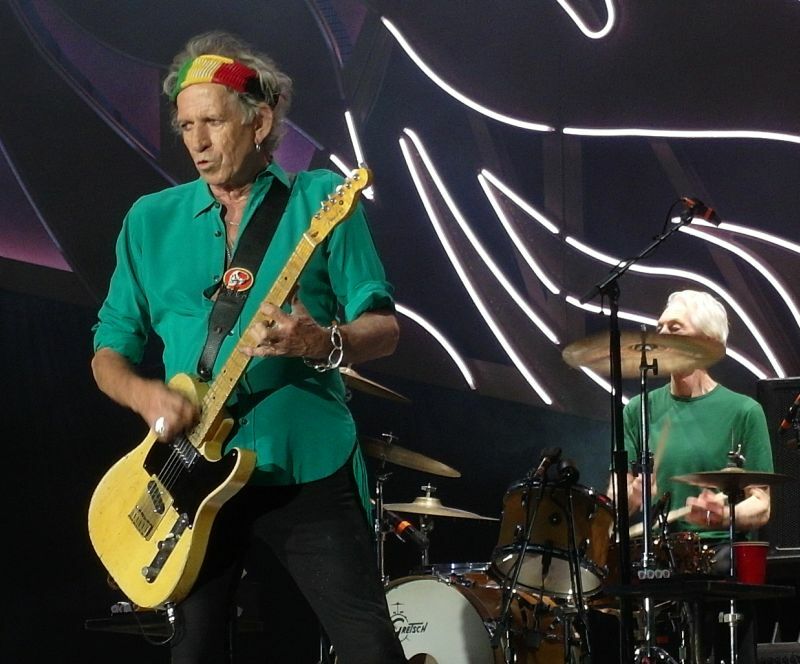 Thank you Karl, "Brown Sugar" is still... "Brown Sugar", the first song of my first Rolling Stones long play record back in the summer of 1971. 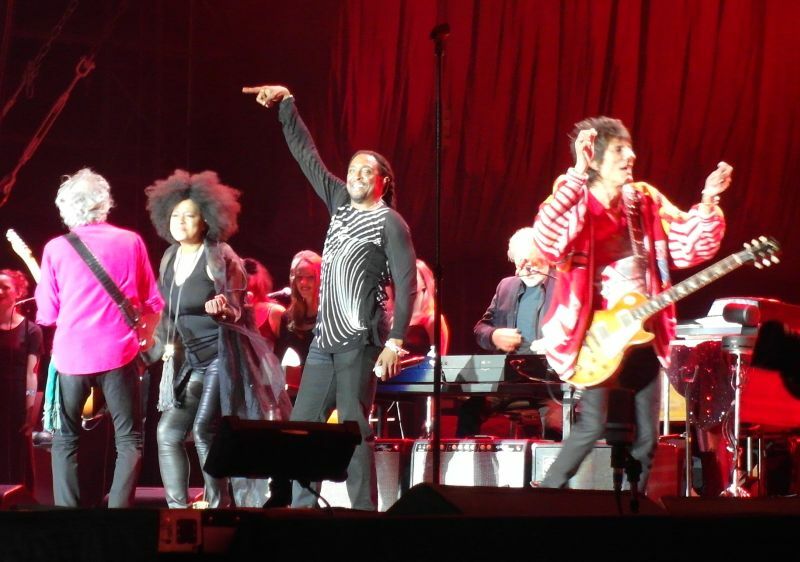 From "Gimme Shelter" and to the end - there are no breaks, no slow pace, Keith is on, the rest of the band is on, and seventeen minutes past the 10:30pm curfew, excuse us North Adelaide residents, I am sure you sleep well the rest of the year, they do the final bow. 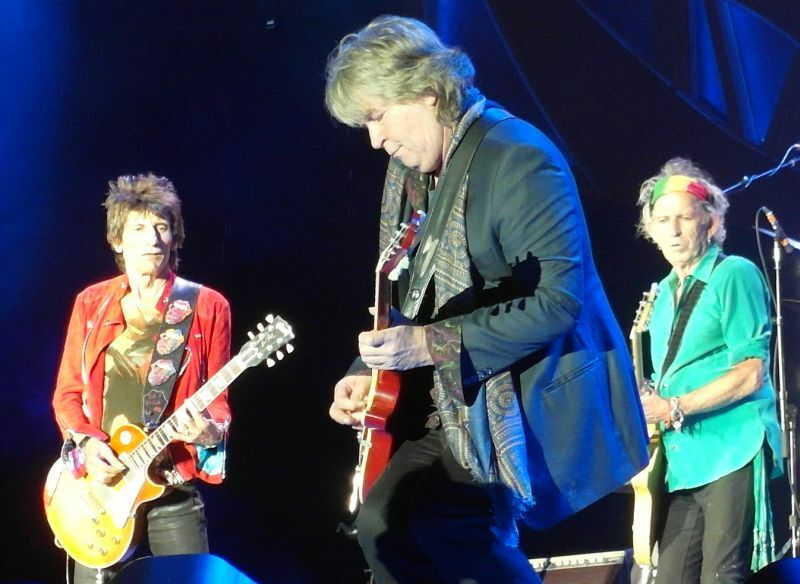 The Adelaide government paid parts of the bill to make sure the Stones could come here. All hotels, bars, flights and streets were full, everybody had a great week-end, in fact many flew in from Sydney, Melbourne, Perth and other cities within and outside Australia. One week in Adelaide. A week to remember, and a great great show to remember in Stones history. I have posted tenured of shows before, never a stadium one. The last, the epic Enmore Locks show that stands as the Greatest single Rock experience of my life. A run of 3 Springsteen shows in Melbourne in 2013 was the best rock week of my life. 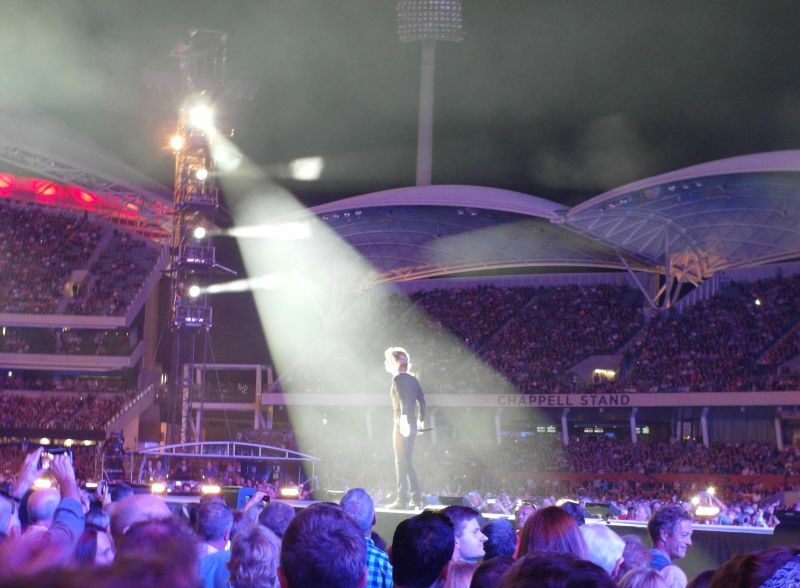 The October 2014 Adelaide stadium show was bloody awesome. 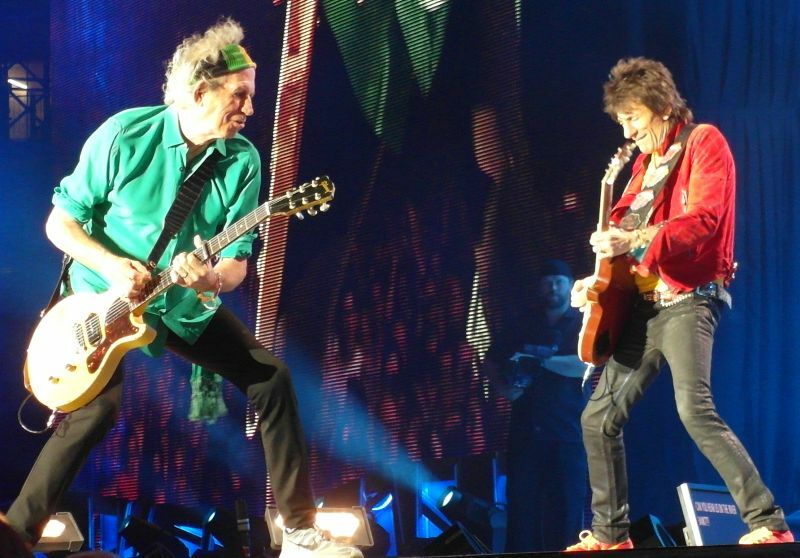 The Stones just seem to get better and better if that is possible. Maybe my memory fades? Don't know, but this show was just stunning. 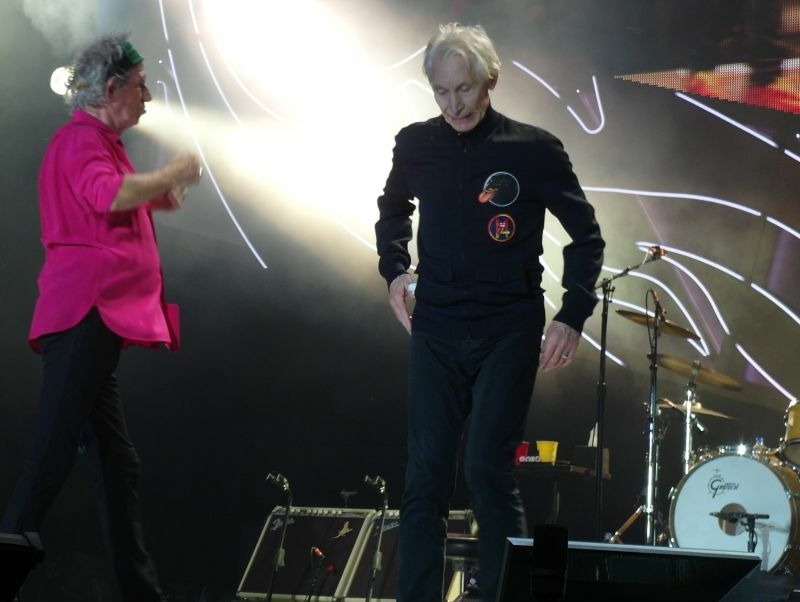 It helps that I managed to score thru ticketek 2 front row seats probably, almost as great as my sitting on the edge of the Enmore stage for entire licks show, but the sound and visuals in Adelaide were just brilliant. Midnight Rambler extended by some magical interplay between Taylor and Keith... Taylor took this somewhere else... Masterful. 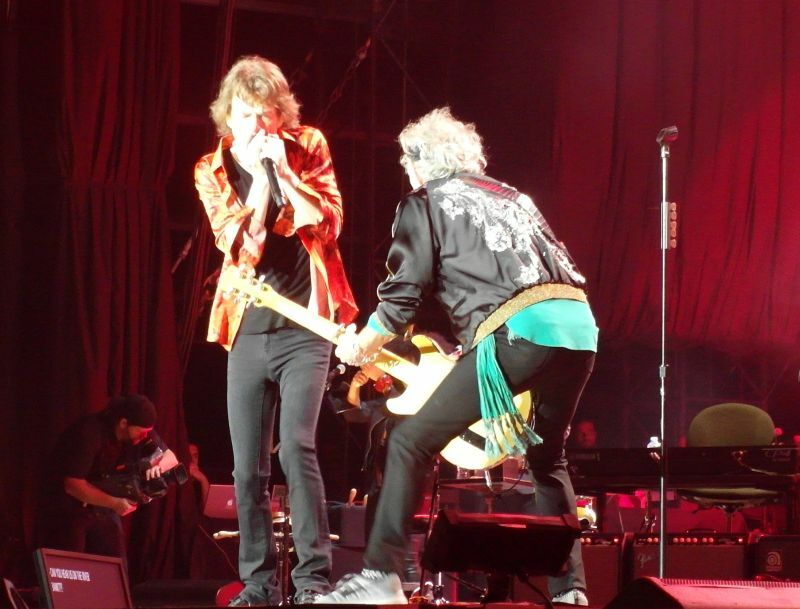 And Keith went with him... Jagger appeared a little perplexed as to its route towards the end, but even he joined in. Out of Control was fantastic, one of my faves finally heard live! Sympathy seemed to have some extra chug to it too, some additional Keith riffing in the middle made this run a little longer too? Can't say enough about the choir in YCAGWYW... JUST sublime. Doom and gloom I liked. JJF was a great and, for me, unexpected opener. 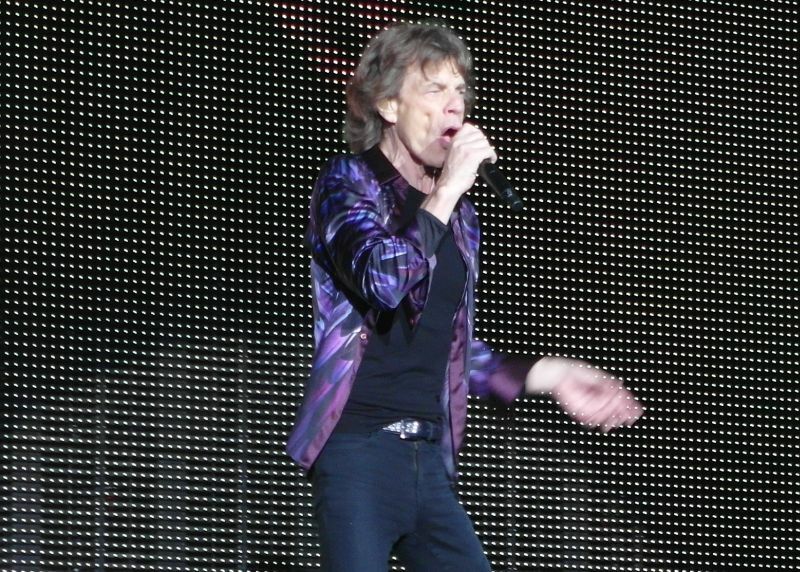 Tumbling Dice remains a favorite of mine too, subtle and melodic. Shelter took on another life too, again it appeared to venture off onto a little side road at times, pleasantly so... Great guitar by Keith. 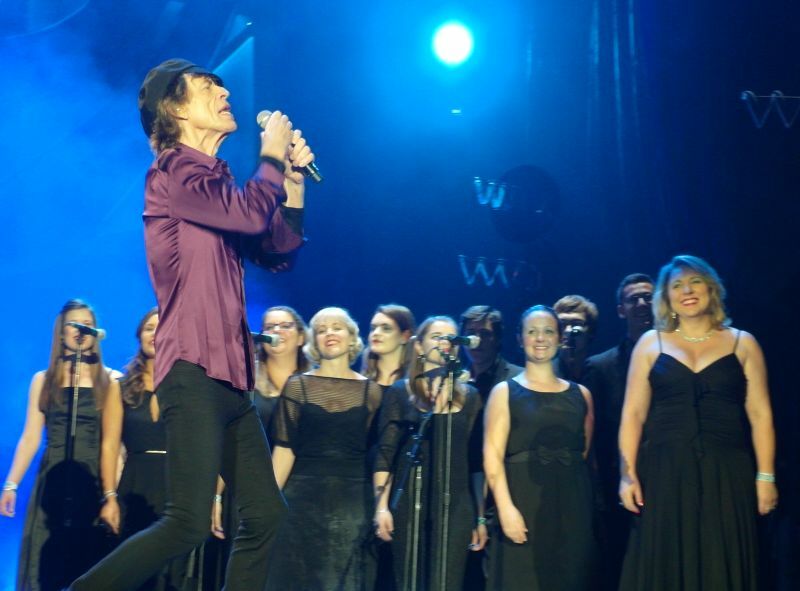 My very VERY favorite off the night though was Wild Horses, just magnificent by Mick. The vocals were spot on...spine chilling. Now... 2 I didn't like. Let's spend the night together. Never liked this on record. Live it's awful. In Adelaide the sound for this one song was shrill and clipped.... Not pleasant. And I LOVE Keith. Happy was great, but Can't be Seen was dreadful. No one knew where it was going. The looks on stage between the players were of complete confusion. 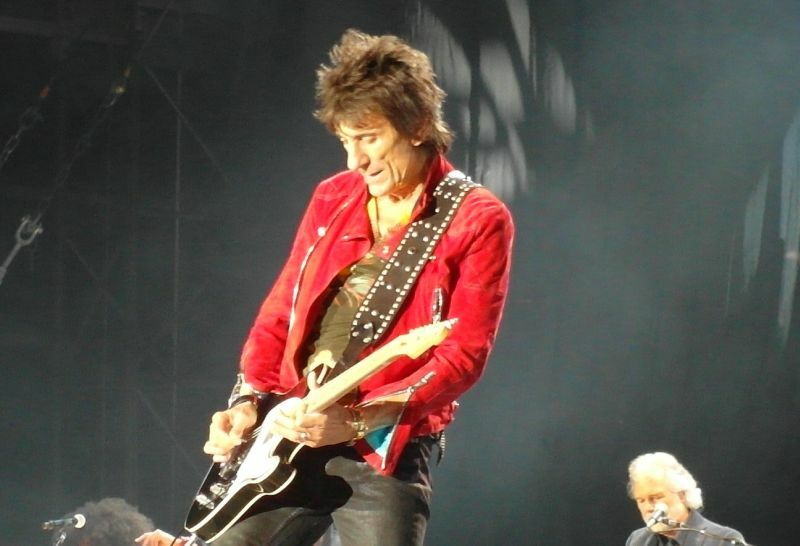 The look on Keith's face was the same....Put this one in the track for Perth please Keith!! Awful. Thanks guys for 50 plus years! 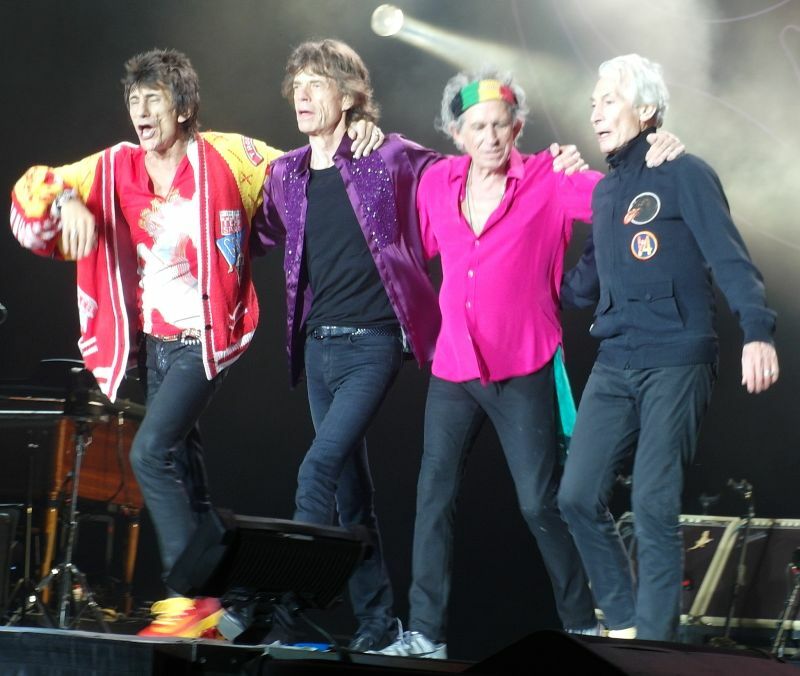 The Rolling Stones get better with age. 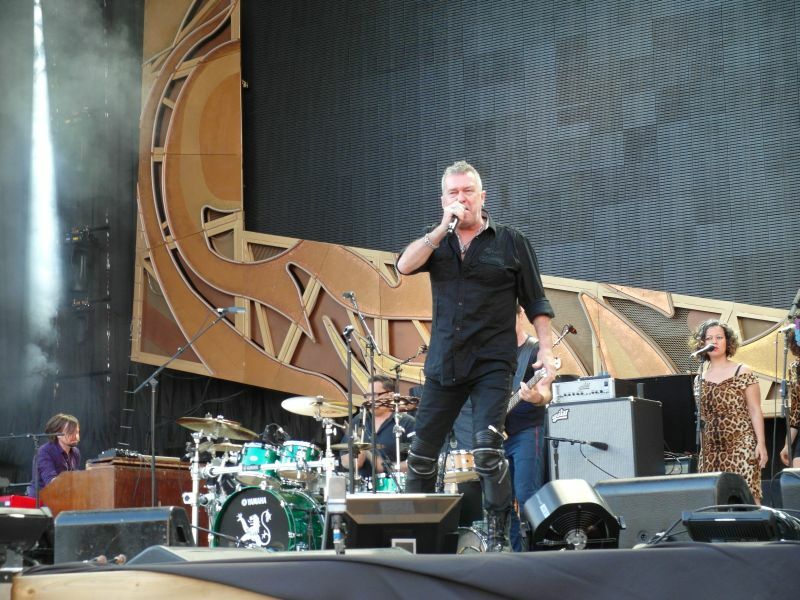 This concert in Adelaide was fantastic. 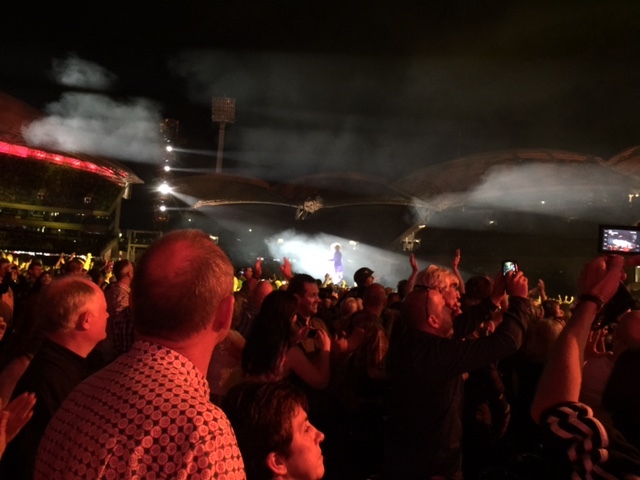 Sound superb, set list fantastic, and atmosphere at Adelaide Oval was magic. Congratulations to the South Australia government for bringing out the Stones money well worth spent.